Head down to Stay Gold and enjoy a night of music curated by local blog, Sound Dessert. 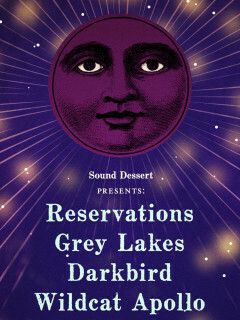 The night will feature performances by Reservations, Grey Lakes, Darkbird, and Wildcat Apollo. 1910 E. Cesar Chavez St.